An update on my Yearly Challenge to fit exactly 52 things in a jar. 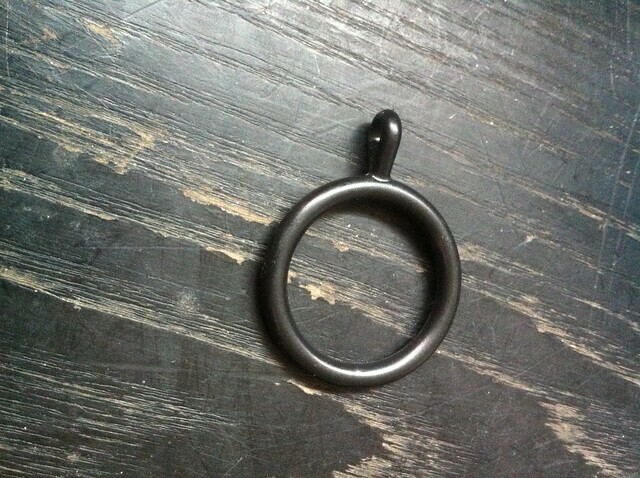 Thing 41 is a curtain ring, because I finally (only 8 weeks after moving in) have curtains up! It took an awful lot of work. First I couldn’t find a curtain rail, then I had a rail but not enough curtains, and then I had trouble finding hooks. Plus, I couldn’t put them up myself, so I had to work around my very helpful friends. It was a bit of a prolonged drama, and for a while I got really frustrated and wound up about living in a fish bowl. But I have lovely turquoise curtains in my lounge now, and stripy purple ones in the bedroom, as well as a handy blind in the kitchen. Privacy!! 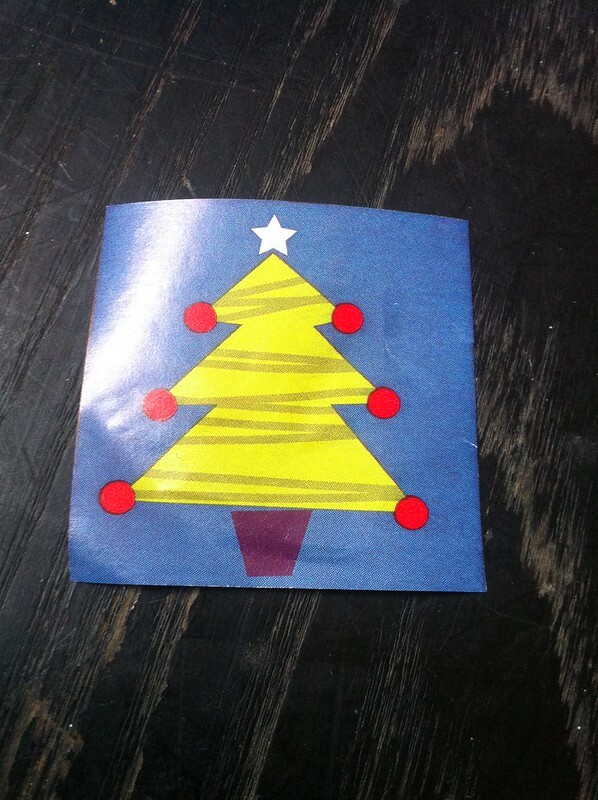 Thing 42 is a Christmas gift tag.